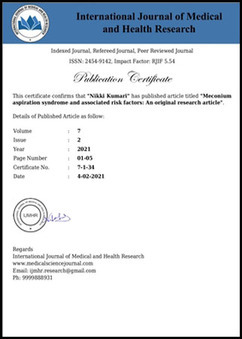 Abstract: Purpose: The purpose of the present study is to estimate the biological profile of an individual of the south Indian population from talus. Material and methods: This study was carried out in 92 tali. (Right-48 & Left-44). Parameters such as talar Width, talar length, head neck length of the talus, trochlear length, trochlear breadth, height of the talar head, talus height. length of the posterior articular surface of the talus, breadth of the posterior articular surface of the talus were measured using digital vernier calipers. Results: The morphometric parameters were expressed as mean ± 2SD. The mean talar width, mean length of the posterior articular surface of the talus and mean trochlear length were relatively more on the left side. The mean talar length, mean talar height and mean trochlear breadth were relatively more on the right side. However, the mean head neck length, talar head height and mean breadth of the posterior articular surface of the talus were almost similar on right and left side. The mean talar height was measured as 28.19 ± 2.18mm and 26.33 ± 2.64mm on right and left side respectively, the difference being statistically different (p - < 0.05). Conclusions: Talus is the relatively better preserved bone making it one of the ideal candidates for use in developing the biological profile of an individual. Of multiple parameters of talus used during biological profiling, we found that the talar height was significantly different on right side from that of the left. Biometric parameters of talus will aid in objective categorization and determination of race for forensic purposes.